The main type of natural habitat on the island is known as garigue. 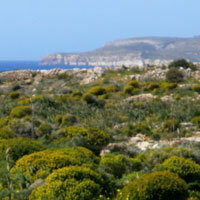 Garigue is found across the Maltese islands and is present where Upper and Lower Coralline limestone deposits exist. 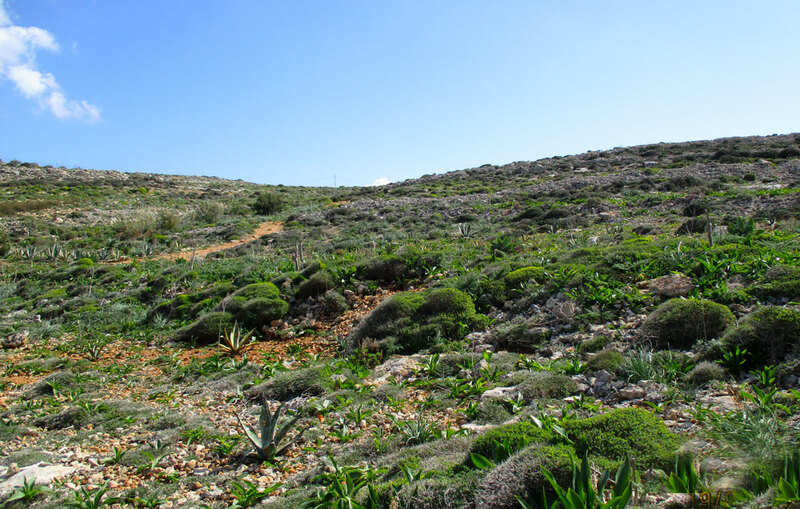 The rocky pocked surfaces are filled with soil (the typical terra rossa – which shows its deep red colour when it rains) that allows a multitude of wild flowers, herbs and shrubs to propagate. 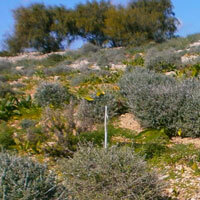 The trees and shrubs are usually evergreen and typical of warm and dry climates as found in the Mediterranean terrain. 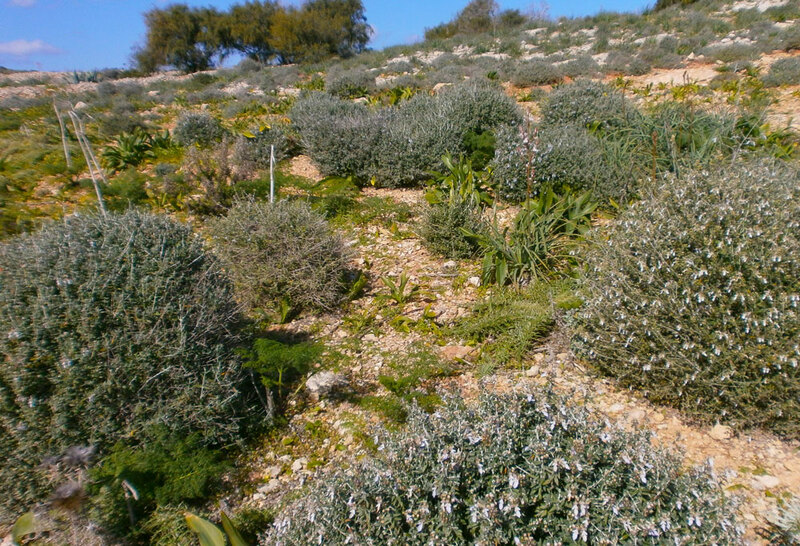 The smell of wild Mediterranean Thyme can be quite intoxicating. Other examples commonly found include Mediterranean Heath, Giant Fennel, Germander and Maltese Spurge. 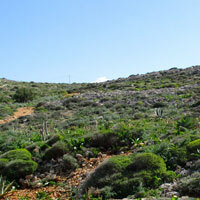 More details on these and other plants can be found in the section Flora of Comino. The Garigue is a protected habitat and should not be walked on. Signs show the restrictions that are now in place. 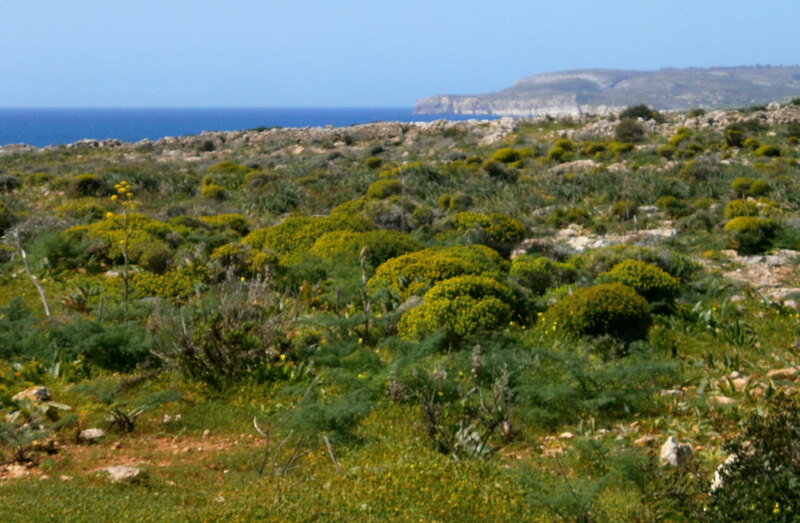 Comino has the only undamaged tracts of cliff-side habitat in the Maltese islands and is inhabited by a number of ‘endemic’ animal and plant species – endemic species are those confined to small areas.